Play the music files stored in your phone/tablet, and turn it into a high resolution digital player. Play the music resources stored in Network Attached Storage (NAS) or network media server. Supports PCM formats up to 32Bit/384KHz and DSD in network player mode. USB input supports PCM formats up to 32Bit/384KHz and DSD. Flagship DAC chip AKM4495 which was designed with sound impression in mind. Integrated AC power supply which ensures effortless, full-sized energy in a small footprint. USB as the only digital input interface which omitted unnecessary digital inputs, ensures high Cost/Price ratio. 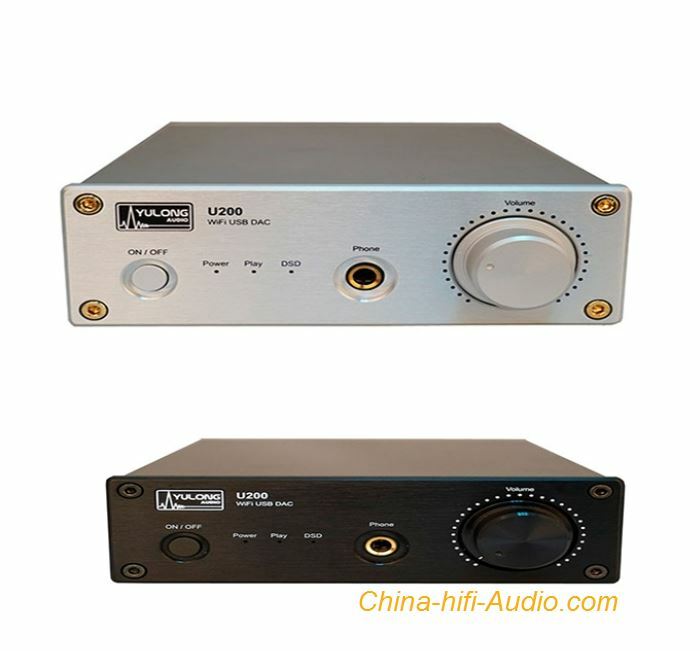 Analogue input enables U200 as a headphone amplifier. USB input supports PCM 16-32 Bit, 44.1KHz, 48KHz, 88.2KHz, 96KHz, 176.4KHz, 192KHz, 352.8KHz, 384KHz, and DSD64 and DSD128. USB supports Mac OSX, Linux, and Windows XP to Windows 8, 32 bit or 64 bit system (driver required). Notice:Please disable AntiVirus software during the installation when needed. After installing the driver, connect the U200 to your computer with USB interface, hook up the power cable and switch the power on, then choose U200 as the output device in your music play back software, and you can now enjoy the brand new music experience brought by the U200. To ensure the U200 is properly recognized by computer, please connect it with USB before the power is turned on. For better result please use ASIO, Kernel Streaming or WASAPI outputs. Please refer to your playback software for these settings. Please set your playback software to SACD or DSD mode when playing these formats. The DSD indication light on the U200 will be turned on when decoding DSD signal.